Today, our team traveled to a community of 850 refugee families who once lived in Qaraqosh. Many of them are Christians, including Yazidis and several other minorities. But they all have one thing in common: ISIS gave them the ultimatum to convert, pay, or die. 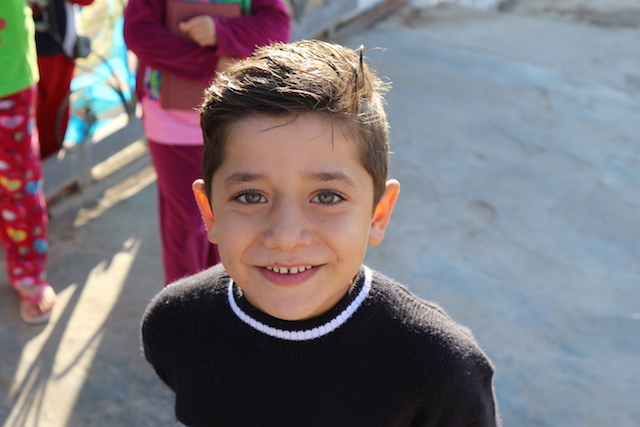 Watch From the Field: Iraq | Restoring Hope With the Word of God on Vimeo. Just over a year ago, Qaraqosh was home to 50-60,000 people and Iraq’s largest Christian population. But when ISIS eventually barreled through the city’s defensive line, a mass exodus had already begun. Many of these people fled during the night with only the clothes on their backs . . . having no time to gather any personal belongings. 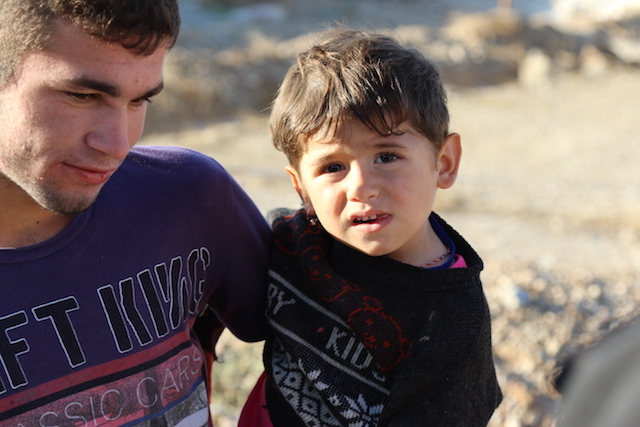 Their entire lives were left behind in Qaraqosh and into ISIS’s hands. Now these people live here in cramped, uncomfortable conditions. Every household I visited held 3-4 families . . . men, women, and children spilling into every room. Recent rains have made their small living quarters cold, damp, and littered with mud-caked shoes and wet clothing. To make matters worse, many of the adults are unable to find jobs to provide for their families. They have literally been at the mercy of strangers for food, supplies, everything. Their situation is truly overwhelming. With the help of our partners, World Help distributed critical aid and supplies to this community. Their gratitude is beyond anything I’ve ever experienced. 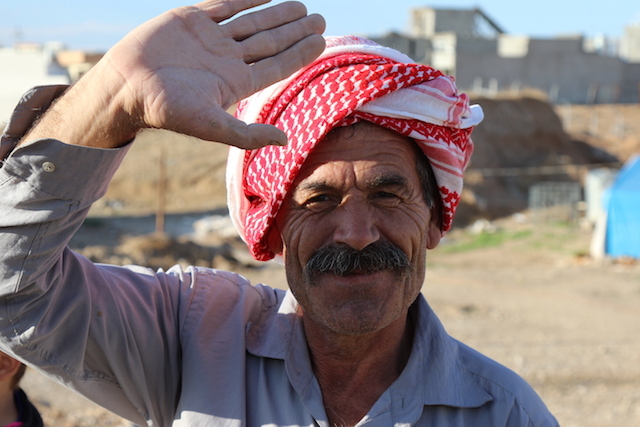 One Yazidi man named Katcho Ali approached me and began thanking me profusely. “If it weren’t for you Christians we’d have died. We’d have starved. You fed us. You kept us alive,” he told me. I’ll never forget that moment. I thanked God for allowing World Help to be the hands, feet, and heart of Jesus to this community. But these people have another need just as significant as food or water—the need for the Word of God. 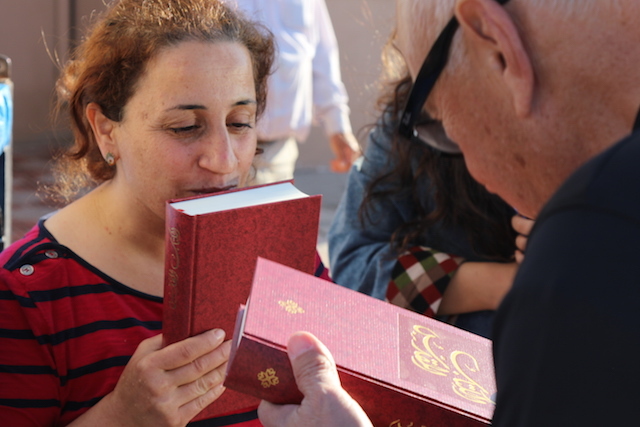 When the Christians fled Qaraqosh, they had to leave behind their Bibles. Imagine the yearning they must have had for God’s promises throughout these past months and years. Today, we had the privilege of providing that comfort and support. Our team went door to door with these precious gifts, and each copy was received with humbling gratitude. Many kissed their new Bibles, shook our hands, and raised their voices to God in thanks. Even the children were elated to receive their own copies. One little girl named Malik ran to her home immediately after receiving a Bible. She placed it securely in her room before returning to our team. She didn’t want to lose her treasured possession. Our humanitarian aid distributions give these people help for the here and now, but the Word of God gives them a reason to hope again for the future, when their futures seem unbelievably bleak. Our partners on the ground reinforced just how important these Bibles are. 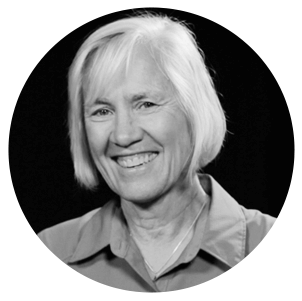 They have seen hundreds of people come to know Christ after being given God’s Word—their hearts hungry for truth and hope during such a devastating time. In fact, 200 of these new Christ followers come from Islamic backgrounds. After meeting physical needs, our partners were able to begin addressing spiritual needs. They first displayed the compassion of Christ without any religious agenda, in essence, earning the right to be heard. This sparked the curiosity of dozens of refugees who felt free to ask questions. 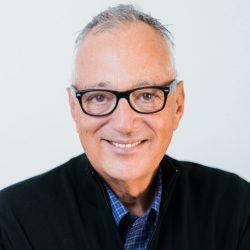 You can imagine how Bibles have come into play in this process. This is not a coincidence—this is God at work! 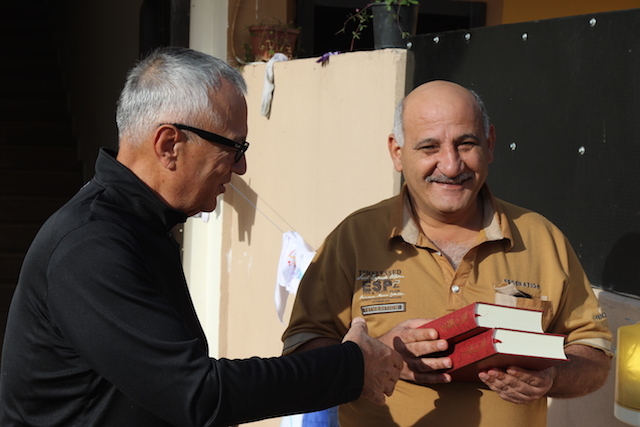 The door is wide open for us to share God’s eternal promises in Iraq . . . and there isn’t a moment to lose. The people here are suffering. They are losing hope. There seems to be no end in sight to the violence and vast humanitarian needs. Iraqis need the touch of God . . . and they need it now. They need our prayers, our continued support, and the promise that they are not forgotten. As the Body of Christ, we each play a vital role in making this happen. We are the manifestation of God’s love to a broken world. Today, your gift of a Bible will bring comfort and restore hope to these incredibly lonely and traumatized refugees. His Word will not return empty. Don’t miss this opportunity. Please give generously today, and help us bring the light of the Gospel to those who are desperately seeking the truth.